at last the sun came out yesterday, but the only chance I had to take a photo was when I was going to work. 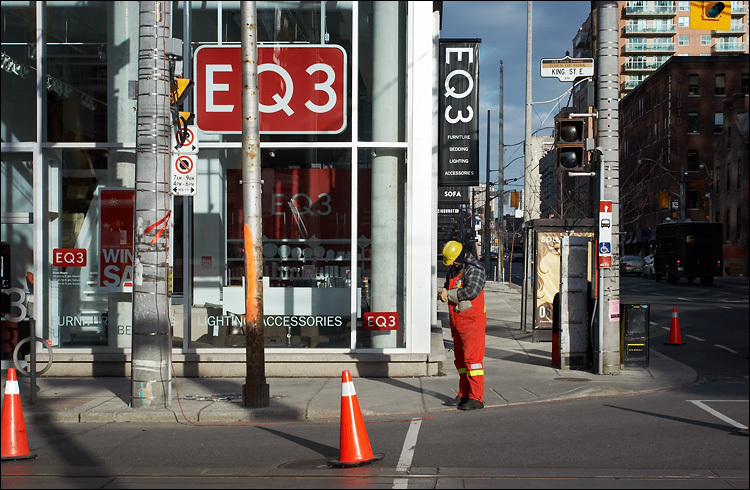 this is king and sherbourne street where orange people were fixing the traffic lights. one thing I forgot to mention was that you can submit your blog nominations in different categories for the bloggies. for example ddoi can be submitted in best photography of a weblog, best canadian blog and weblog of the year among others.